Two weekends ago, the library staff was able to get out of the office and spend an afternoon together at the Orange County Public Library in Downtown Orlando. Specifically, we dropped in to visit the Dorothy Lumley Melrose Center for Technology, Innovation and Creativity. We tweeted about the visit at the time; check out our Twitter account if you missed hearing about it or want to see additional pictures! The center itself is located on the 2nd floor of the library, and covers 26,000 square feet of space. Guests in the center have access to the Video Production Studio, Audio Production Studio, Photography Studio, Simulation Lab, Fabrication Lab, and much more. Further, the library offers lots of classes each month, and provides top software to use on all of the computers in the center. Prior to use, all interested users need to complete a general orientation and register for a photo-ID card to be used to access the center services. Separate orientations and training for each of the specialized studios and labs wanting to be utilized by each patron in the center must also be completed before that resource can be used. 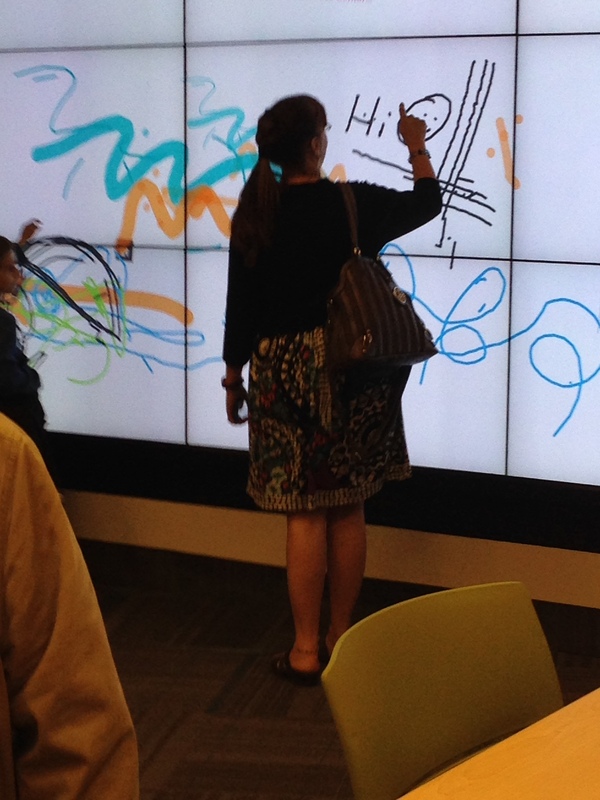 Our boss, Nadine, enjoying the giant Interactive Wall. Perhaps the most impressive part of these offerings is that most of the services are absolutely FREE to Orange County Library District cardholders; if you already have an Orange County Library Card, you’re halfway to enjoying the center to the fullest! Patrons outside of the Orange County Library District can also enjoy the center at a reasonable charge. 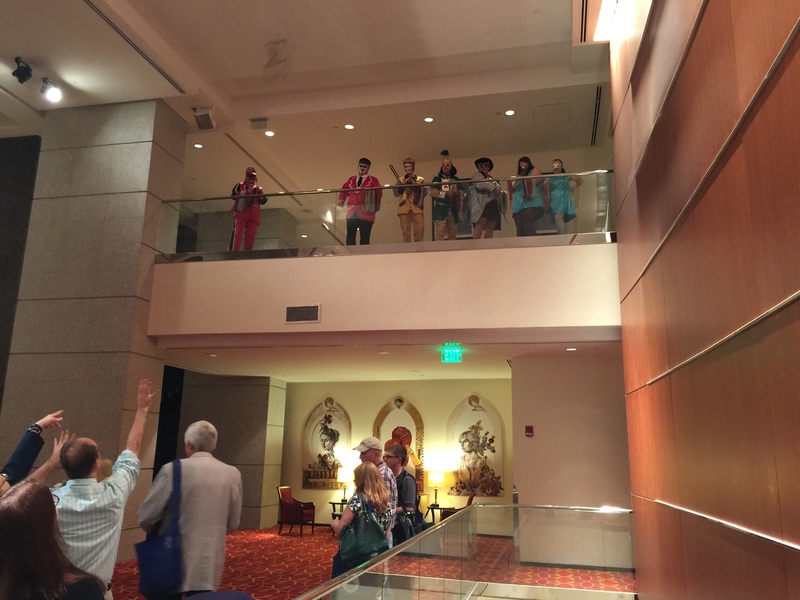 For more information on booking fees for cardholders and non-cardholders, you can check out their website. One of the main reasons we decided to visit the Melrose Center was because we heard they had a 3D printer in their possession. Lately, we’ve been really interested in 3D printers and what the they can do. It’s been interesting to think about 3D printers in the context of how they could be used in medical education. We’d never seen one up close and in person, so when we saw we could get a demo of one, we were pretty excited about it. Printing an object can take some time, but the staff member we worked with chose a small and simple object to print, and the whole process took around 5 minutes or so to complete. The printer being used at the time was the MakerBot Replicator 2. Incidentally, this video was made and edited in iMovie – the iOS App and the desktop version! If you want to know more about making your own short movies in iMovie, feel free to come by the Health Sciences Library and Natasha can give you a quick demo. Our library’s mission is to provide the COM students, staff, faculty, and community with evidence-based information resources using the latest innovative technology. We want to support the education, research, and patient-care initiatives of the College in a number of ways. This trip allowed us to get a close look at what some of our colleagues in the public library system are doing with cool new technology for their patrons. The more we learn about what others are doing, the more innovations we can work to bring to our library space to share with the COM. 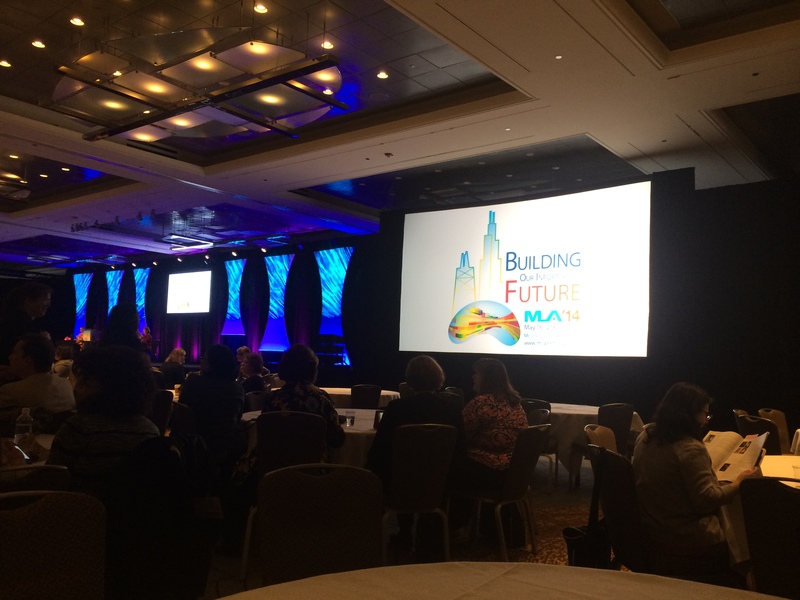 This past week, a portion of the Health Sciences Library staff had the opportunity to attend the Florida Health Sciences Library Association (FHSLA) annual meeting, which was held at the Courtyard Marriot in Lake Buena Vista. 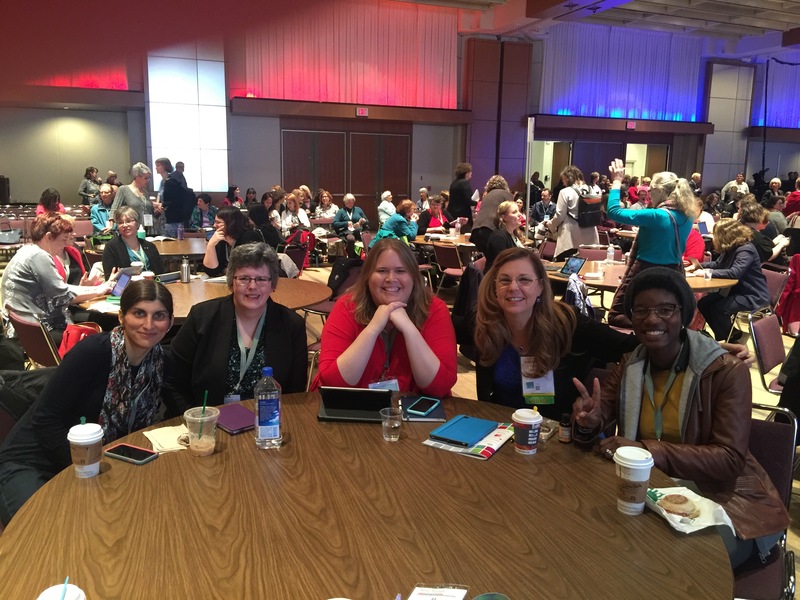 The two-day meeting gave our librarians a chance to network and collaborate with other medical librarians across the state, as well as a chance to attend some informative continuing education workshops and sessions. Among sessions held, FHSLA put together a “Mobile Technology Panel” to stimulate conversation about how libraries are using mobile technology with their patrons. 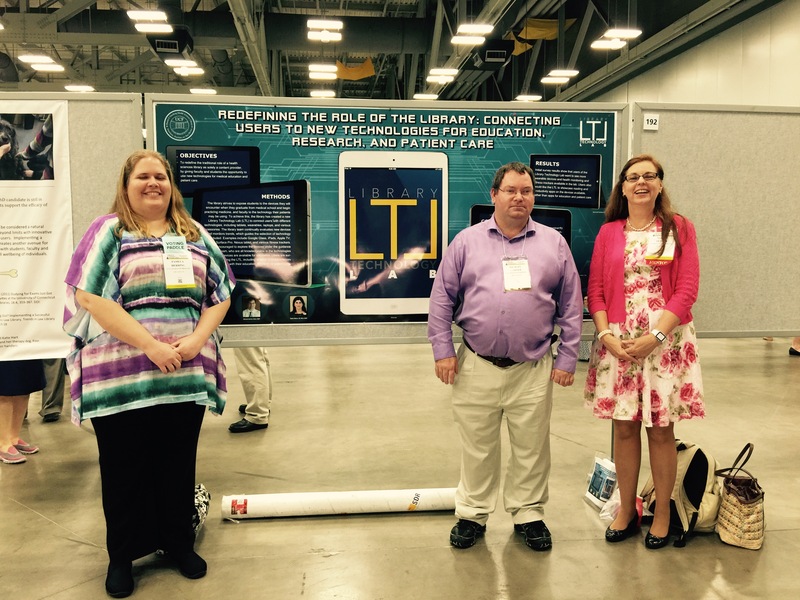 Our technology guru and Medical Informatics Librarian, Michael Garner, was one of three librarians asked to sit on the panel, and he was able to share with everyone the details of our library’s mobile technology and iPad initiative. 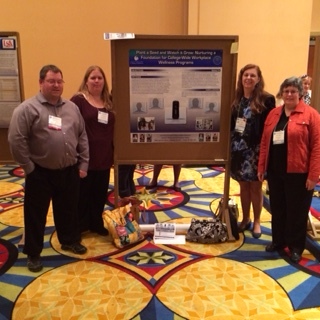 It was also a great chance for us to learn what our colleagues are doing, and how our successes have influenced them. FHSLA’s leadership is made up of medical librarians from the academic community, as well as from the hospital community. 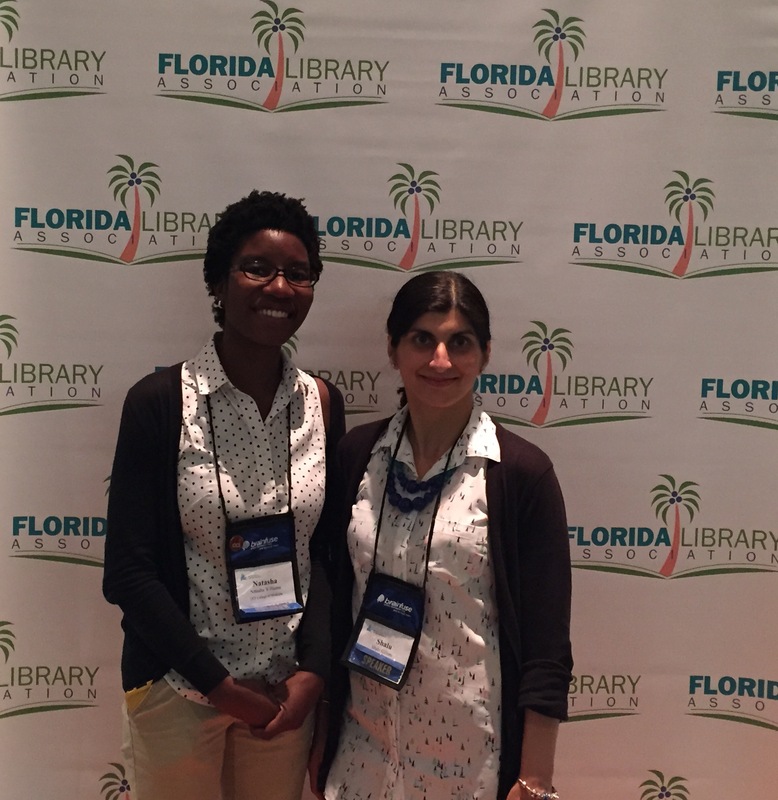 Our Public Services Librarian, Shalu Gillum, served as Secretary of FHSLA last year, and Deedra Walton, our Electronic Resources Librarian, served as Treasurer. During the business meeting, Shalu was re-elected to serve another term as Secretary. The Treasurer position is not yet up for re-election, so Deedra will be continuing in that capacity for one more year. FHSLA also awards scholarships to attend their annual meeting to students pursuing a graduate degree in Library and Information Science. Typically, they alternate each year between awarding a student at Florida State University’s library school and the University of South Florida’s library school, which are the only two colleges in the state that offer graduate degrees in Library and Information Science. 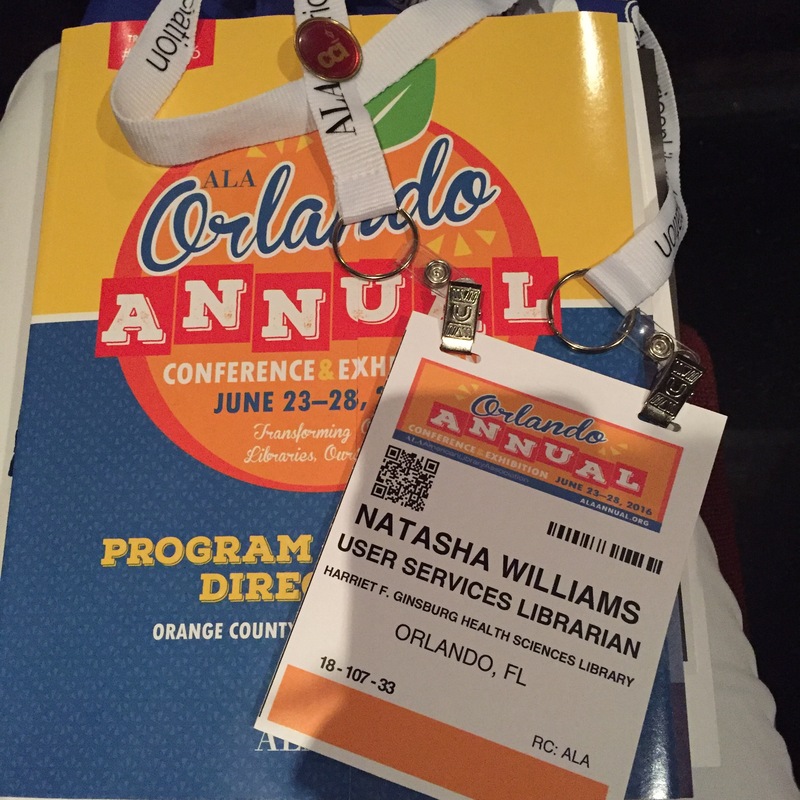 This year’s scholarship recipient was our very own Natasha Fortune, one of our Sr. Library Technical Assistants, who will be graduating from FSU this coming December. The scholarship provided Natasha with the opportunity to attend all of the meeting activities; she was even able to take a CE course, too. 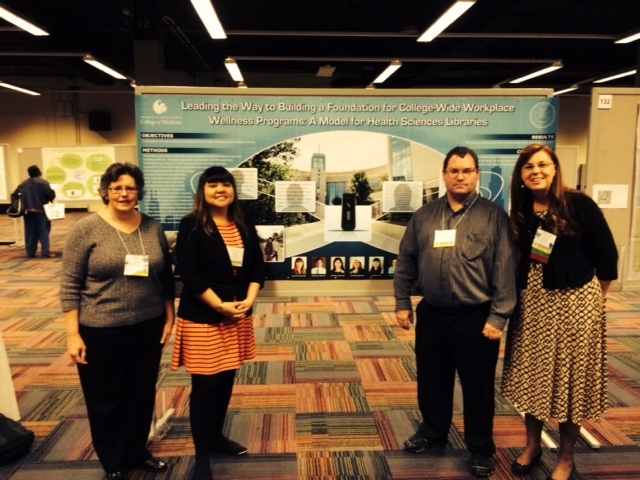 We’re thrilled to have our library so well represented in a statewide organization!